South Korean authorities will disclose foreign exchange intervention details later this month, a move that is expected to bolster transparency in the government’s foreign exchange policy amid suspicion that the export-oriented economy may have been manipulating its currency. 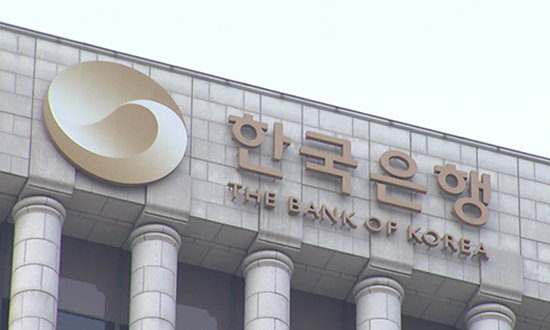 According to the Bank of Korea on Sunday, authorities will disclose details of foreign exchange operations for the second half of last year on its website later this month, as announced last year. The details will include only net trading history – gross purchase minus sales – instead of each of the breakdown. The Korean government announced last year it would disclose foreign exchange intervention details to bolster transparency of the country’s foreign exchange policy. It hoped the decision would remove the unnecessary suspicion of manipulating the country’s currency to depreciate its value for higher exports. There have been consistent calls for disclosure of its foreign exchange interventions from the United States and International Monetary Fund. The Korean government will unveil the first two reports, which include the first report on foreign exchange operation records for the second half of last year, biannually to minimize market shock. From the third report, it will be made on a quarterly basis starting in December 2019. The authorities decided not to disclose details of each breakdown to prevent possible abuse by speculative hot money investors. Market analysts expected that because the Korean authorities were suspected to carry out very limited interventions in the foreign exchange market in the latter half of last year, the upcoming disclosure of currency operation details later this month would have little impact on the market. Investors also believed that the Korean currency market had moved mostly by the supply and demand condition last year. The disclosure of foreign exchange intervention details is expected to help ease concerns of Korea being designated as a currency manipulation country by the U.S., which names a list of currency manipulators in a report every April and October. Last year, Korea avoided being labeled as a currency manipulator after Washington kept Seoul on its watch list for foreign exchange interventions along with other trade majors China, Germany, India, Japan and Switzerland. While the limited impact is anticipated, some market analysts raised concerns that the disclosure would prevent the government from taking prompt and active stabilization measures against any drastic tilting in the exchange rate amid growing external uncertainties. Korea’s disclosure of currency operation details is very minimum compared to other countries. Many countries – excluding the U.S. and Switzerland – disclose details of their foreign exchange operations every day, once every week, or every month. The United Kingdom, Germany, France, and Japan even disclose the breakdowns in purchase and sales value instead of net trading history. 2Coupang sales up 65% on year to record revenue in 2018 on widening los..